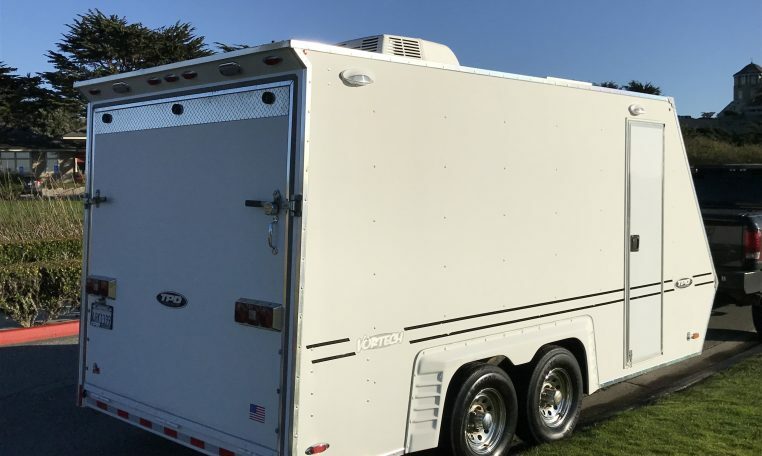 My trailer is a 2008 TPD Vortech CV8516T trailer that has the rare full 7ft height. (most short ones are only 6.5ft tall) It has a total length of 20ft (ball to rear) and a 16 ft x 8 ft floor. 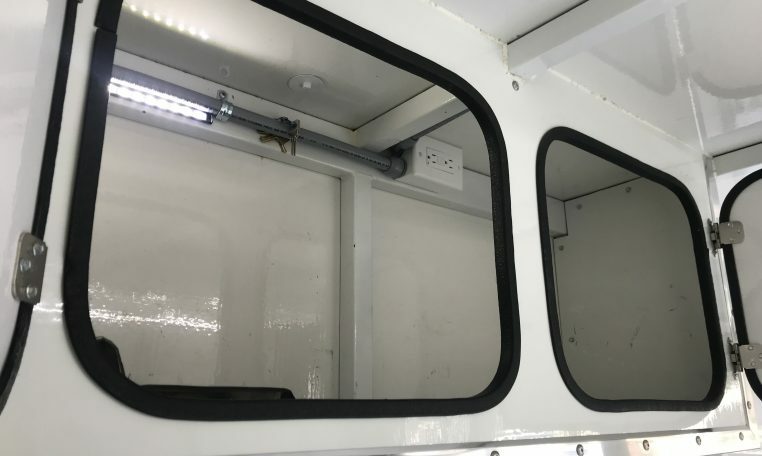 The front Hitch tongue is a Z tongue style that is good to have if you tow behind an RV and it has the Front Diamond plate stone guard package (ATP). 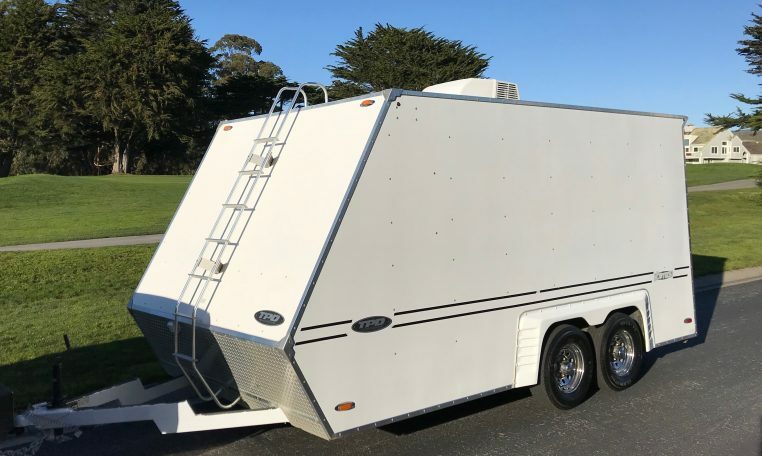 It has six lug Chrome Wheels with 4 Brand New Gladiator Radial Trailer Tires (NEW FEB2019) ST225/75R15T that have less about 300 miles on them. 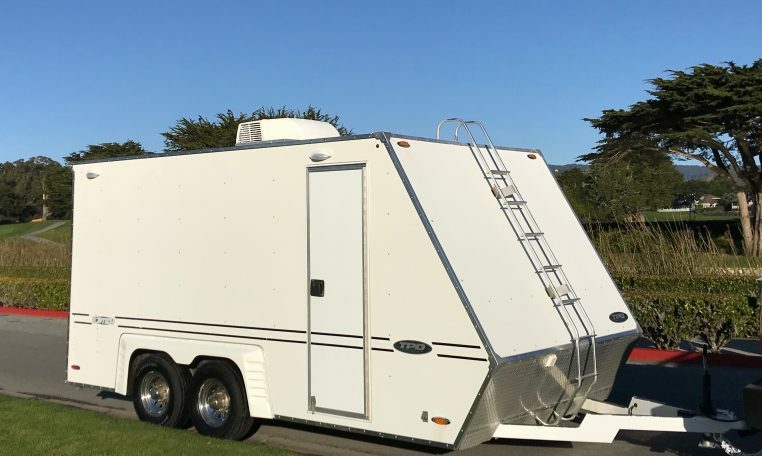 It has a ladder for the Walk-On roof and a Coleman Mach Air Conditioner along with a Solar Panel that keeps the full size trailer battery (NEW Jan2019) charged. 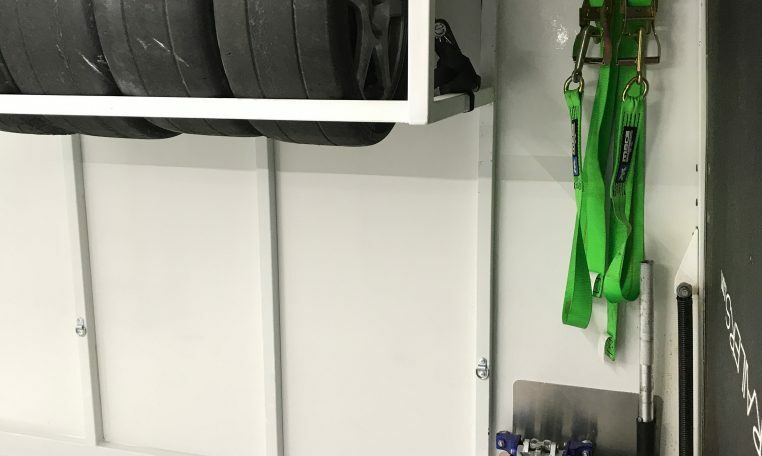 There is several outputs from the solar-controller to charge/maintain the batteries of cars/pit bikes that are being stored in the trailer. 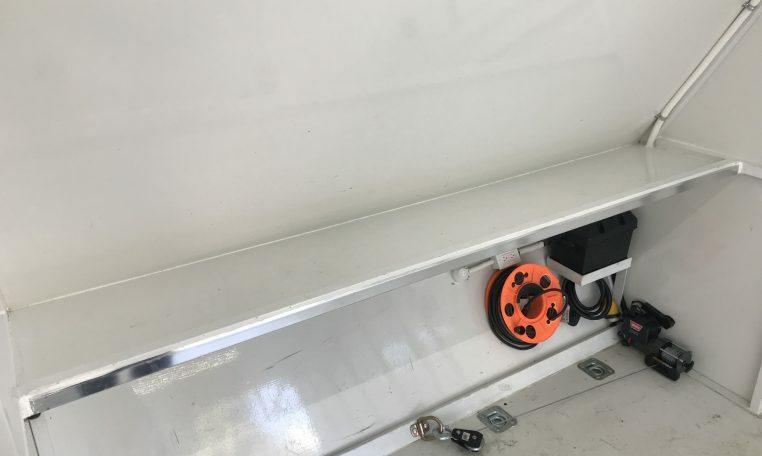 Inside it has a full length Workbench and underneath the bench is the battery(inside prevents theft) pared to a Warn Wench. The floor has many tie-down points with pre-drilled holes for motorcycle wheel chocks/mounts. 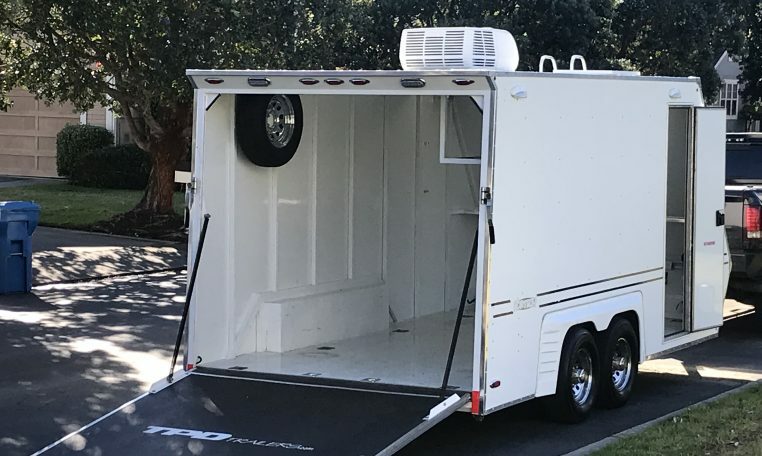 It has Upper wall cabinets for gear and a tire-rack to carry a spare set(4) race tires (removable if not needed) along with the 15″ spare tire for the trailer that’s mounted high out of the way. All marker/tail lights are L.E.D. including the all four 60 inch LED light strips on the inside. The outside has 2 porch/2 work lights on the passenger side and rear. 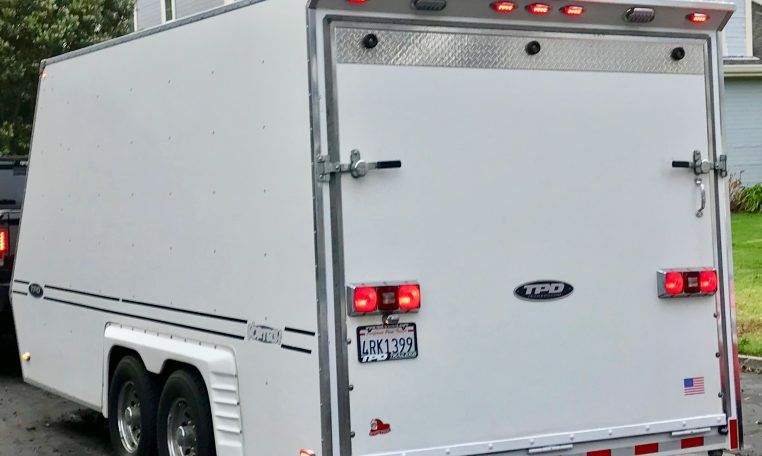 This is NOT a lite-duty trailer. It has a FULL Boxed frame including the sides and the walls are a one piece Fiberglass/Composite. You can put a 3,850 lbs car in it without any problems. It’s a popular ATVs and Motorcycles trailer as well. Both Axles are rated at 3.5k each, the brakes and bearings are good. Asking $13,500 and it’s worth it.